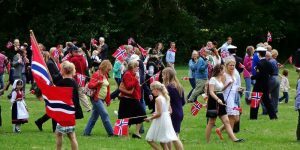 17th of May Picnic in the Park 2019 – Norwegian Society and Church Service in D.C. Please join us celebrating Norway’s Constitution day with our annual 17. Mai Family Picnic in Carderock Park, MD from 5-7 PM. We look forward to celebrating Syttende Mai with you, your family, and your friends!